High-content screening technologies have the ability of simultaneously studying multiple parameters in complex biological systems, a factor that is also one of the key factors driving the global market for high-content screening. Considering the steady rise in the prevalence of various genetic disorders and neurological diseases, the demand for effective screening methods and techniques has significantly increased in the past few years. This scenario has had a positive impact on the global high-content screening market. However, owing to factors such as stringent regulatory framework in many countries, high cost of sophisticated infrastructure, dearth of skilled and trained professionals, and low R&D yields the growth prospects of the market are impaired to a certain extent. Some of the most popular high-content screening products include flow cytometers, cell imaging systems, consumables, and software. Cell imaging systems have been witnessing strong demand in the recent past, thanks to ongoing advancement in automation and instrumentation techniques. Key end users of high-content screening are industries such as biotechnology and pharmaceutical, government organizations, educational institutions, and contract research organizations (CROs). High-content screening is commonly used by biotechnology and pharmaceutical companies for various clinical and preclinical studies. High-content screening finds application in target identification and validation, primary and secondary screening, compound profiling, and toxicity studies. High-content screening is mostly used in primary and secondary screening owing to its usage in assessing bioavailability and in qualitative assays. Geographically, North America holds a significant share in the high-content screening market, fueled by a strong regional economy, the presence of sophisticated research and healthcare facilities, and increased focus on overall health and wellbeing. High-content screening merges the molecular tools of cell biology with automated robotic handling, high-resolution microscopy, and automated analysis. The high-content screening market is driven by increasing funding and venture capital investments for cellular research, technological developments in HCS solutions, and cost containment in pharma R&D. However, factors such as high cost of HCS equipment and lack of expert and skilled personnel for operation of equipment are posing a challenge to the market’s growth. In addition, inadequate research infrastructure and insufficient funding for R&D in emerging nations is limiting this market’s growth. The high-content screening market is segmented in terms of product, application, end user, and region. In terms of product, instruments, software, consumables, services, and accessories are the segments of this market. The segment of instrument held the leading share of the market in the recent past. The cell imaging and analysis segment held the leading share of the instrument segment of the HCS market. The instrument segment holds the leading share due to advances in instrumentation and automation techniques. On the basis of application, target identification and validation, toxicity studies, primary and secondary screening, compound profiling, and others are the segments of the HCS market. The segment of primary and secondary screening dominated the market in the recent past. The dominance of this segment is due to its large-scale usage in qualitative assays for lead specificity, evaluation of bioavailability, and exclusion of compounds with unintended modes of action. In terms of end user, the HCS market is segmented into academic and government institutes, pharmaceutical and biotechnology companies, and contract research organizations. The segment of pharmaceutical and biotechnology companies held the leading share of the global HCS market in the recent past. The dominance of this segment is owing to the extensive usage of HCS in preclinical and clinical studies in the biotechnology and pharmaceutical industries. Beyond its conventional application in biological resaerch, high-content screening is being used in studying fat accumulation in cells. Researchers at the Department of Environmental Science at University of Georgia College of Public Health carried out studies to determine how exposure to phthalates in the form of nail polish or soap is related to the amount of fat stored in our bodies. High-content screening employs image processing algorithms and computer machine language to measure multiple parameters objectively in no time. North America is the leading market for high-content screening trailed by the regions of Europe, Asia Pacific, Latin America, and the Middle East and Africa. 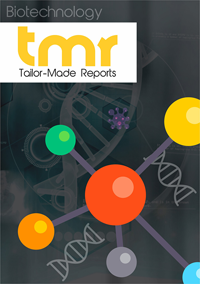 High research and development expenditures, government support for research initiatives, and the presence of leading lifescience market players are attributed to the dominance of North America high content screening market. The key players in the global high content screening market include GE Healthcare, PerkinElmer Inc., Becton, Dickinson and Company, Danaher Corporation, and Thermo Fisher Scientific Inc. Some other players in the market include BioTek Instruments Inc., Tecan Group Ltd., Merck Millipore, Bio-rad Laboratories Inc, and Yokogawa Electric Corporation.